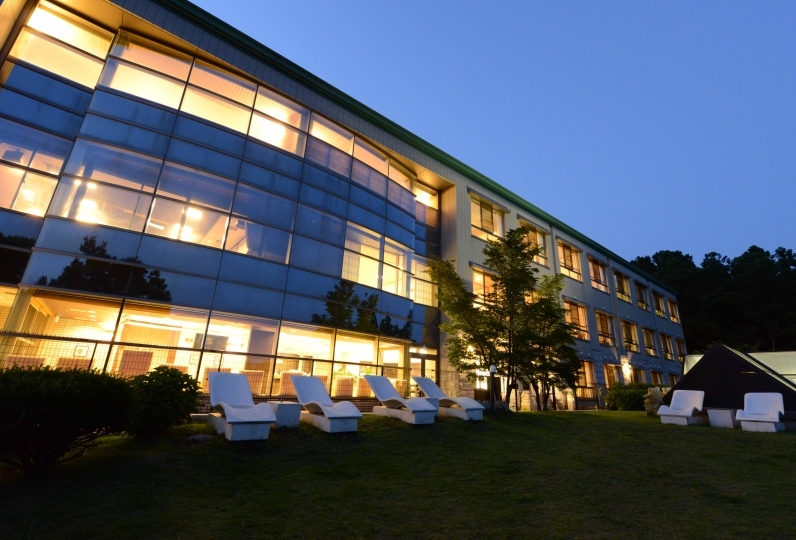 2 hours away from Tokyo, the hotel is located a 10 minute walk away from Izu-Kogen Station. 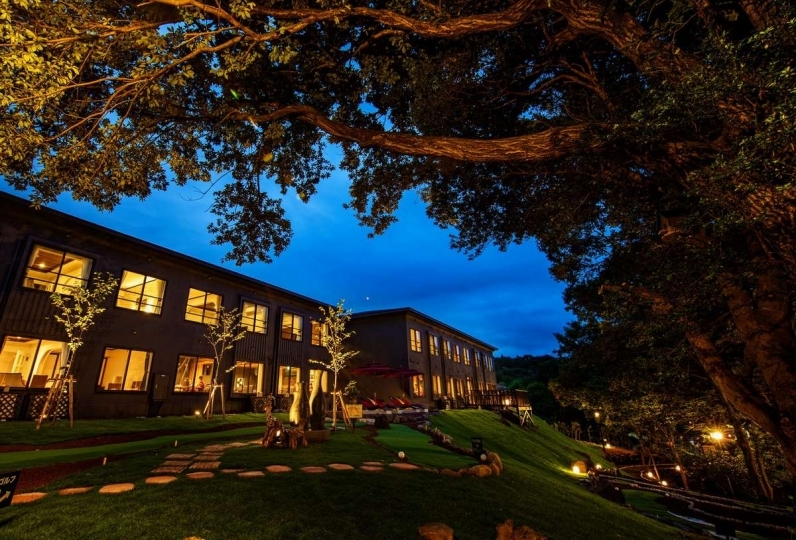 If you step into a small street lit by sunlight that twinkles between tree branches, you will meet this fantastic resort. 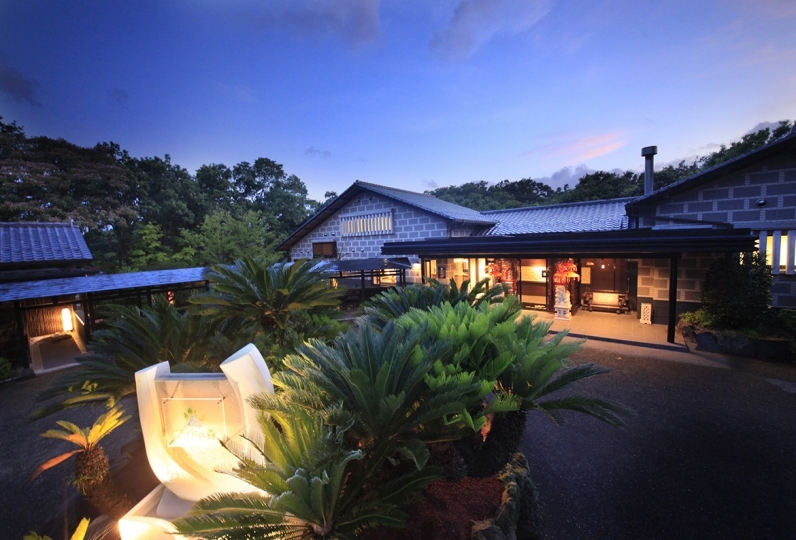 a true escape in a resort stay, why don't you join us here at Anda Resort Izu Kogen? accommodate both large groups and intimate getaways. 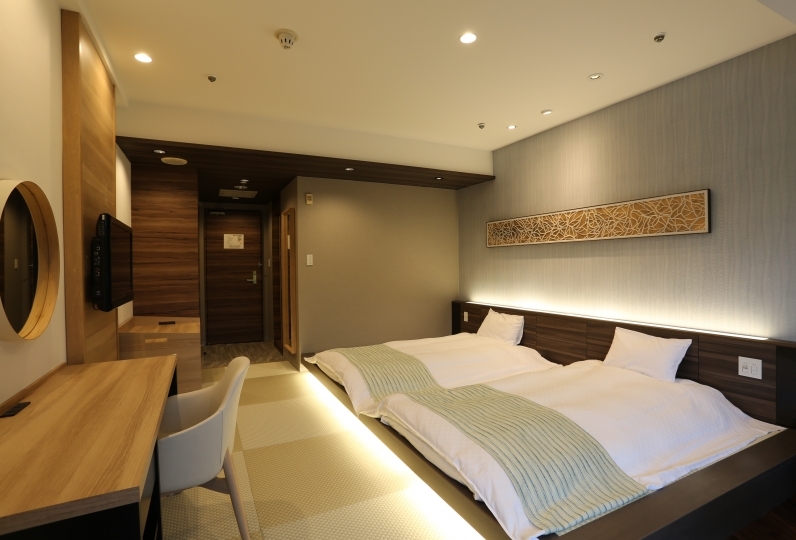 We have unique rooms that combine luxurious canopies with the comfort of Ryukyu tatami floors. You will surely find a room that fits your needs. We also have a large variety of baths. as well as a mist sauna that transports you to Ubud, Bali. There are also family baths that have huge windows that overlook the garden. For women, we recommend the aesthetic salon and bed rock bath. Our special full-hand massage is sure to bring you both beauty and relaxation. you will always have something fun to do. If you get hungry, come on over to the restaurant surrounded in greenery. and you can easily revitalize your body and soul. Our hotel is great because we out our guests first. A warm welcome and Parisian life awaits you at Anda Resort. Thank you for your son's birthday celebration. I was impressed and tears came out. The room was away from the main building, but I got a service ticket, it was quiet, there was a place to play and a drink service, it was rather good. There were various types of baths. I thought it would be nice if there was an open-air bath in the public bath. I was satisfied with the amenities. I was especially happy to have children's size pajamas ready. There were a variety of meals, all delicious, and I was very satisfied with the many drinks. 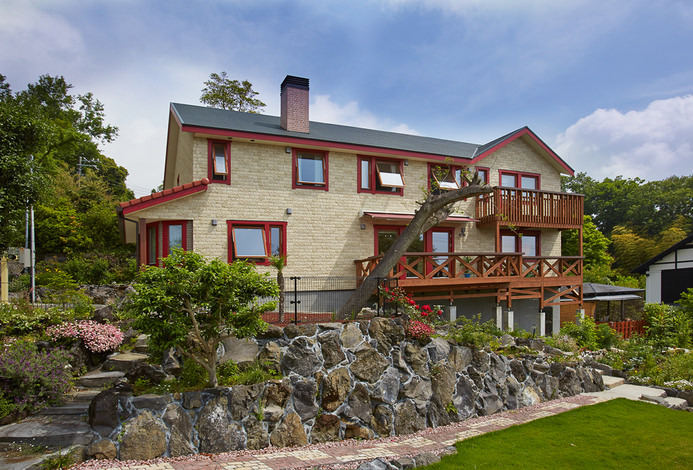 This is the first accommodation where children can do various things without getting tired of it. I came back while talking with him again. It was a very good anniversary. Thank you very much! I stayed at the birthday anniversary plan. I was glad to hear what to do with the message. I took my 4-year-old daughter for the first time. When I found and found a frog, I got a present, and I had a great experience with Doctor Fish and Putter Golf for the first time. There were a lot of other playgrounds and I was very satisfied that it was not enough for one night. Thank you very much! I would like to talk about the points that I felt good for 2 nights and the bad points. I think that the good point was that the free service that was fulfilling, some kind of reserved open-air baths, and the careful response of the staff were good. 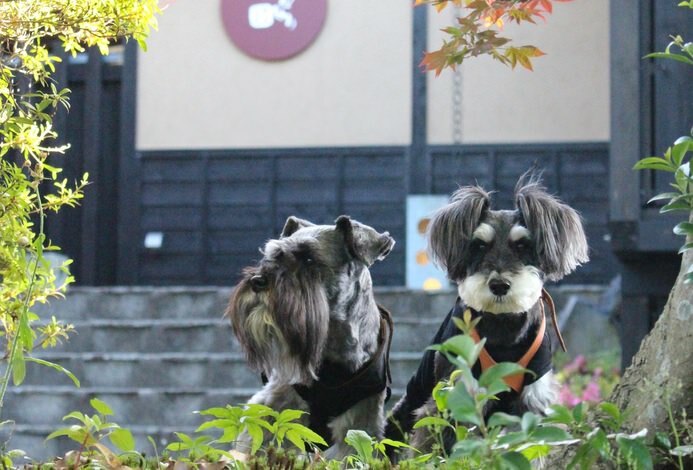 On the other hand, in terms of feeling that it was not so good, I think that the kind of breakfast and snack time bar time, the correspondence of the pick-up service, and the correspondence of some staff were not so good. It is written that it is not necessary to make reservations when heading for the transfer service, and it should be waiting at the bus stop, but it will never come to the stop even if actually waiting at the bus stop It was a form that this headed to the stop space of etc. If it is usually in the form of such transportation, I think that it is better to improve it because writing on the home page is misleading. The dinner was of course system, and the contents were good, but I felt that there was not much menu at the time of the night meal bar time or the breakfast buffet, I felt that there were few items that the menu was devised, and that point was disappointing . The free service was abundant, but I felt that it would be better to have another one because the table tennis table next to the public bath is so popular. Most of the staff members responded very kindly and politely, but it was very disappointing that some people felt that they did not have a smile or other feeling when responding. Amenity is substantial about the room, too and I think that the area was also very good. Also, I felt that services such as anniversary celebrations were very good. "Pelesir" means "a place for fun" in Indonesian. our offering of 80+ free drinks. Dinner at Anda is a French-Japanese course meal made out of locally sourced fresh produce. Our freshly baked bread and free-drinks are also popular with the guests. You can enjoy up to three different meat main dishes. We have over 80 types of drinks from soft-drinks to alcohol free of charge. We also have a paid menu with champagne and bottled wine that you can enjoy with meals and other activities such as Karaoke. This is a great way to enjoy Anda to its fullest extent. Breaksfast will be served in our restaurant showered by the morning sun. We have platters and a la carte menus we bring to your table as well as a half-buffet for fice, miso soup, drinks and other smaller dishes. This spa with a huge window that opens up into nature is inspired by the hot spring spa at Ubud Villa Resort in Bali. This outdoor spa bath is located in a forest that is over 200 years old. 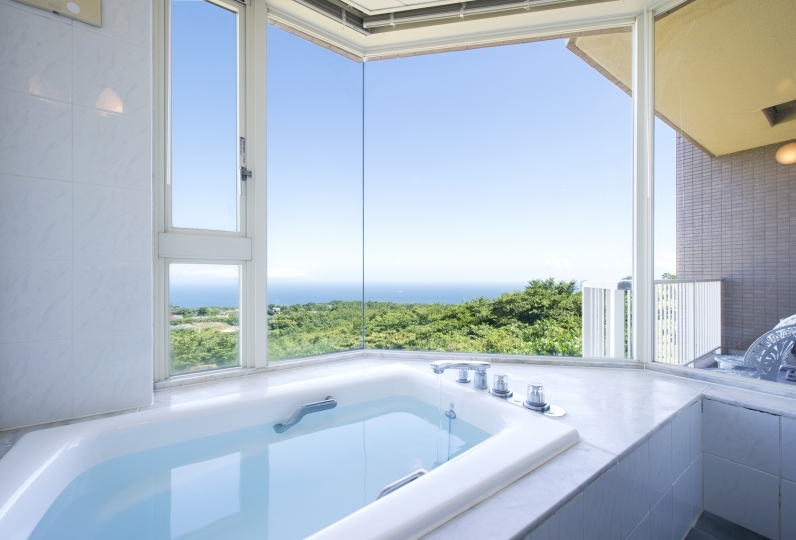 Depending on the seasons you will be able to see the ocean and islands from the bath. has a great view of lit up bamboo at night. This two Bali style have outdoor spas have little waterfalls. This lake where the man-made and nature exist harmoniously can be rented privately for guests to enjoy a Bali spa experience. 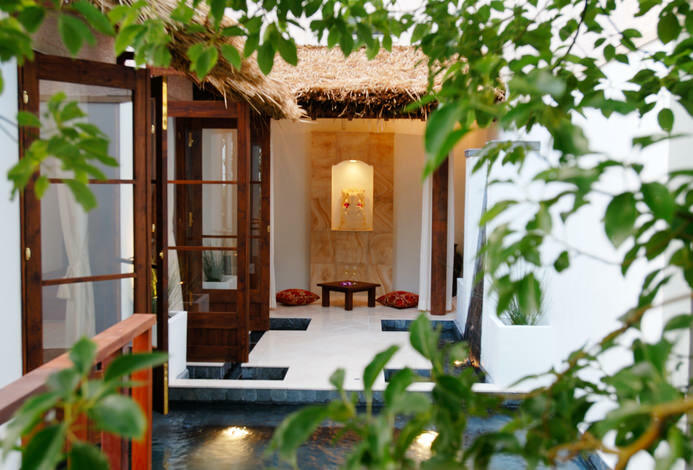 Spa Cantic uses a special full-hand massage style and Balinese treatments and cream baths. 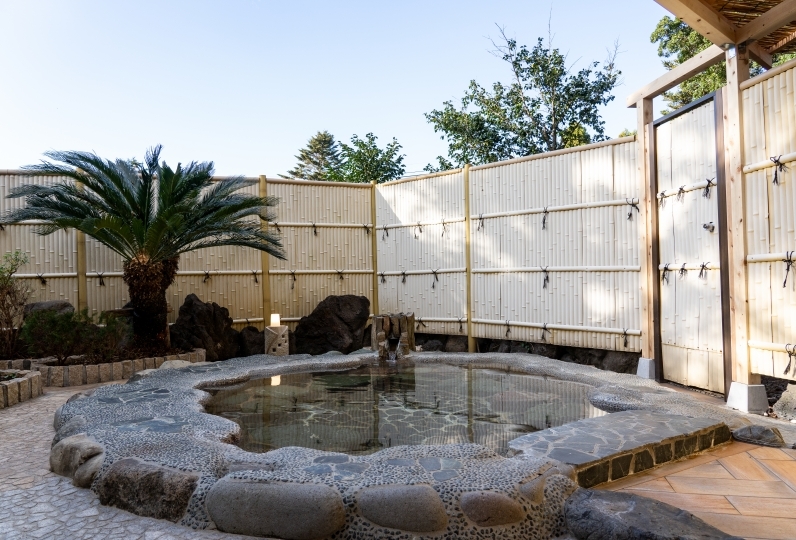 the benefits of hot spring and calming aroma. Billiards, darts, ping pong, karaoke, foot baths, doctor fish, rental bicycles, and more that you can use for free until 11pm everyday (5pm for bicycles). If the facilities at our main building are being used, walk over to our Villas Lombok and Batour for mini-golf, billiard, darts, air-hockey, etc. ※Please respond in the free comments section. 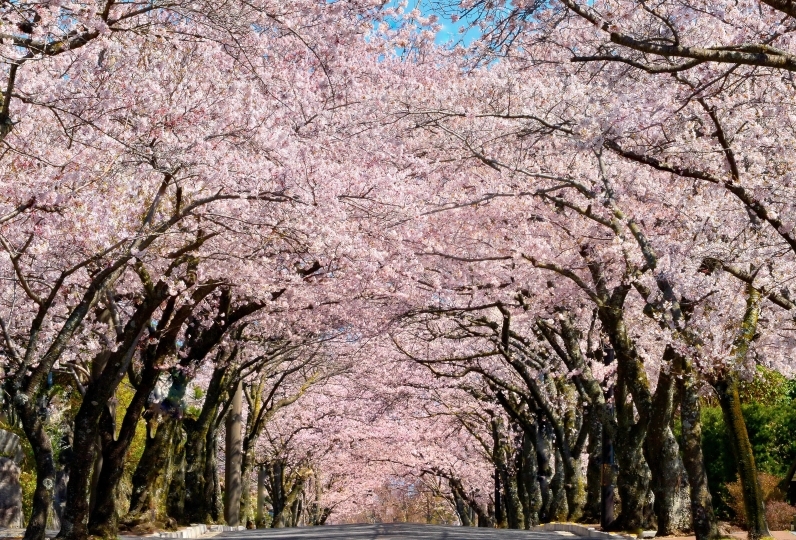 ※Because of limited seating, we cannot guarantee your first choice. Thank you for your understanding. 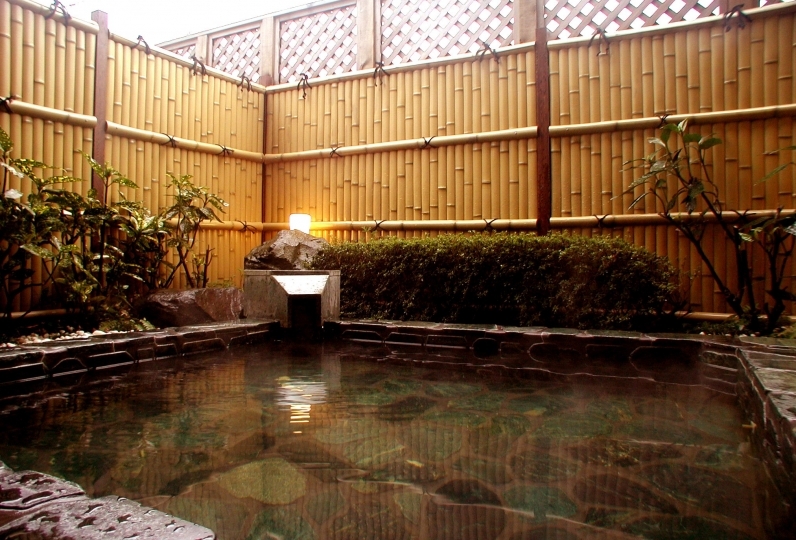 ・Bathing fee of 150 yen is included in the hotel fee. Please select "Elementary School Age"
Please select "Child/With Meal and Futon" Meals will be "Kids Meal"
Please select Child/No food No futon. 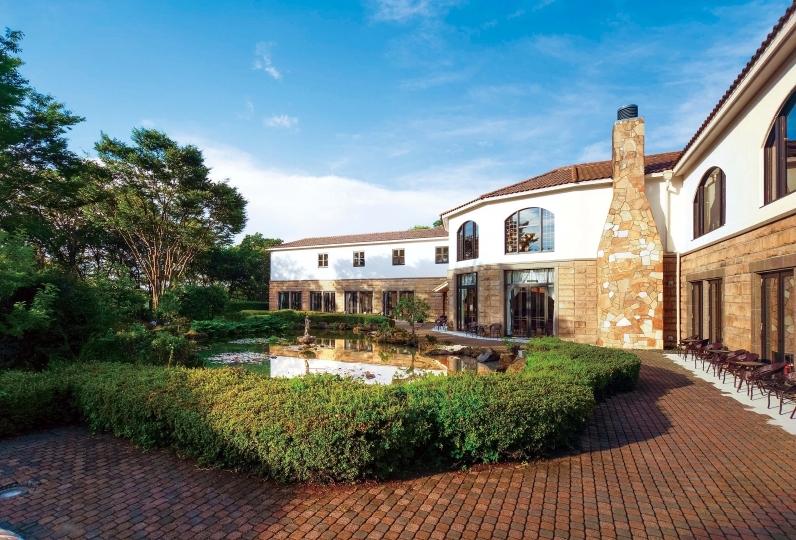 ※Upon arrival at Izu Kogen station, you can request a free shuttle to the hotel. Once you exit the station, please call toll free:  0120-759-026. Your pick-up will arrive in 5 to 10 minutes.